Ah yes, the much-lauded Google Authorship. Many writers have started to leverage this powerful verification process. Still not sure how to set it up or even what Google Authorship is? It’s not as complex as it may sound. Authorship has revolutionized online writing and content marketing because of its evolving role in SEO. At its most basic, authorship encourages writers to create better content by using a sophisticated algorithm to establish ownership of the content they produce. Additionally, connecting actual content to authors drastically improves search results. In fact, with the proper implementation of authorship markup, studies show that your content’s click-through rate improves up to 38 percent. To set up Google Authorship and start appearing more often in searches, create a Google+ account and use a recognizable headshot as a profile photo, include a byline on everything you write, match your byline name to the name on your Google+ profile and finally, verify your email address here. ClearVoice is a new platform (free for public use) that gauges your overall publication power. The platform relies on Google and Twitter authorship markup to create a ClearVoice Score based on post frequency, quality of publishing site, quantity of sites, recency and social relevance. In addition, it helps you to troubleshoot authorship markup associated with the articles you publish. Inbound.org partnered with SEOMoz and HubSpot to create a community-based website for marketers, writers and bloggers. Based on the concept of inbound marketing (a marketing strategy that focuses on being found by your target audience), Inbound.org helps to expose high-quality content that might otherwise be overlooked by your readers. GeekWire compares Inbound.org to Hacker News here and mentions its strong capability to unearth great marketing content. Inbound.org can help advertise your content and connect you to others bloggers in the field. I spoke with adogy.com who said inbound.org was one of the tools on their radar as they began their startup because they wanted more visibility for their writers. So far so good! Triberr is a community website for bloggers to “come together to read and share great content.” Similar to Inbound.org, Triberr allows you to promote blog posts and engage in conversation streams from people in the marketing and blogging world. To promote your content on Triberr, you can set up your RSS feed to automatically update your Triberr stream each time you publish a new post. To engage with others, you can find tribe mates and post comments in response to new blog posts, even if they are not your own pieces of content. A recent TheNextWeb article notes that, “Chatting daily can also help you stand out from the crowd.” Boosting your visibility online takes effort and intelligent use of tools to promote yourself. Use each one of these hacks to promote your content to the next level. An online writer must wear many hats, including a social media one. The Klout score helps content creators determine online social influence with a numerical value between 1 and 100. You might be wondering why being active on social media is important to your writing career. Well, picture this: the recently written article you shared on Facebook has been shared by three of your friends, then your friends’ friends will share it with their friends and those friends will share it with their friends and so on. The longer you can keep this chain going, the broader your reach. According to Wired, Klout calculates your score using multiple variables, including number of followers, frequency of updates, the scores of your friends and followers, your number of likes, retweets and, of course, the number of shares your updates receive. Everyone has a Klout Score, unless you choose to opt out on Klout’s website. Supplement your score by linking your Google+, Twitter and LinkedIn accounts and writing great content. Many of us fall into the trap of promoting the most recent content we’ve written and fail to promote the “oldie but goodie” content. Evergreen Post Tweeter is the perfect solution for promoting golden content. This WordPress plugin allows you to schedule and automatically tweet out links to old content. You can even tweet website pages you’ve written. A constant stream of new and old content will drive your content’s social shares up, leading to more visibility, engagement and conversions! 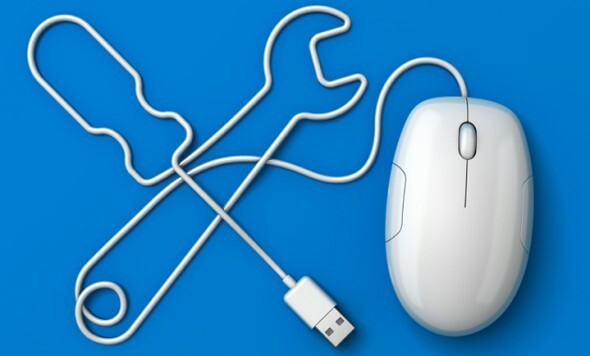 If you know of any other great online tools, we’d love to hear them. Tell us about your experiences and your thoughts in the comment section below.